Cups, pots & kettles ready to be washed. 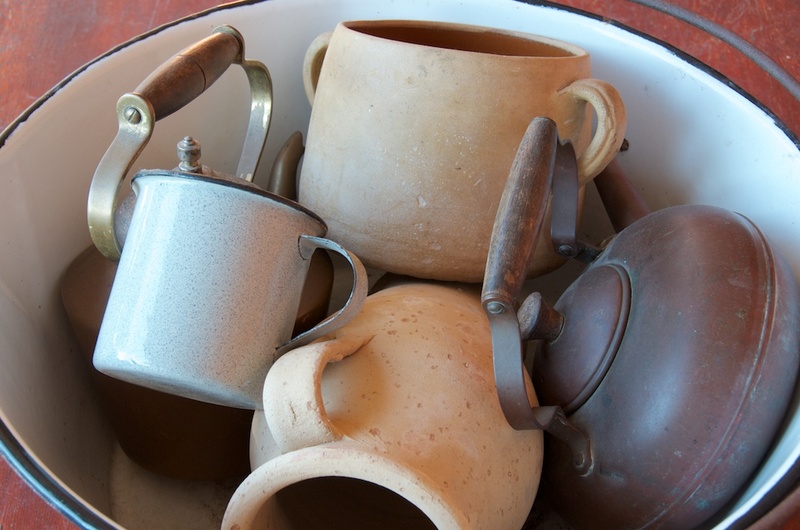 Jesus ministry and teaching was deep and meaningful yet his critics kept with small minded things like the washing of cups, pots and kettles. Things have not changed as we are often caught up dealing with small minded issues when we are dealing with the big questions of life. Mk 7:4. This entry was posted in Pentecost, Photography, Year B and tagged Jesus, objects, Pentecost on September 1, 2012 by Mark. Mark 4:35-41. 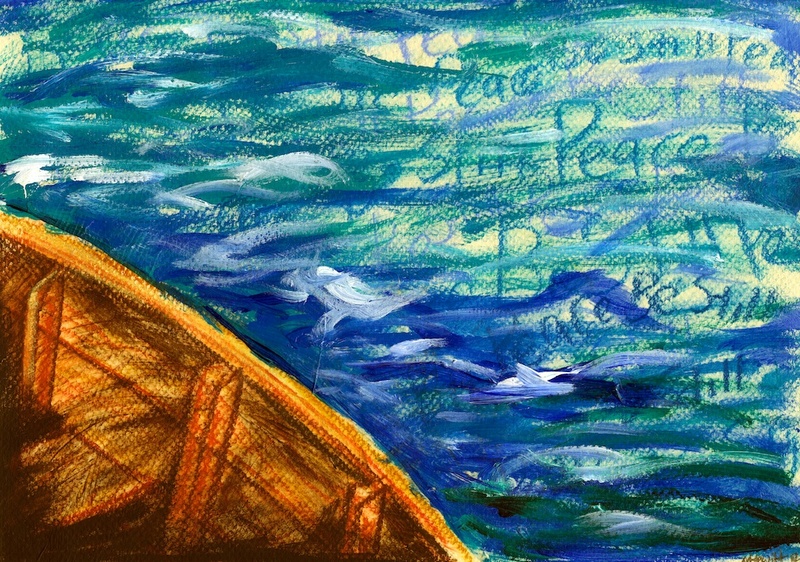 Jesus stills the waters from the boat with his words. Peace! Be Still! Here we see the words fused with the waters, calming the waters. We may be standing in darkness yet Jesus’ peace will flow around us. 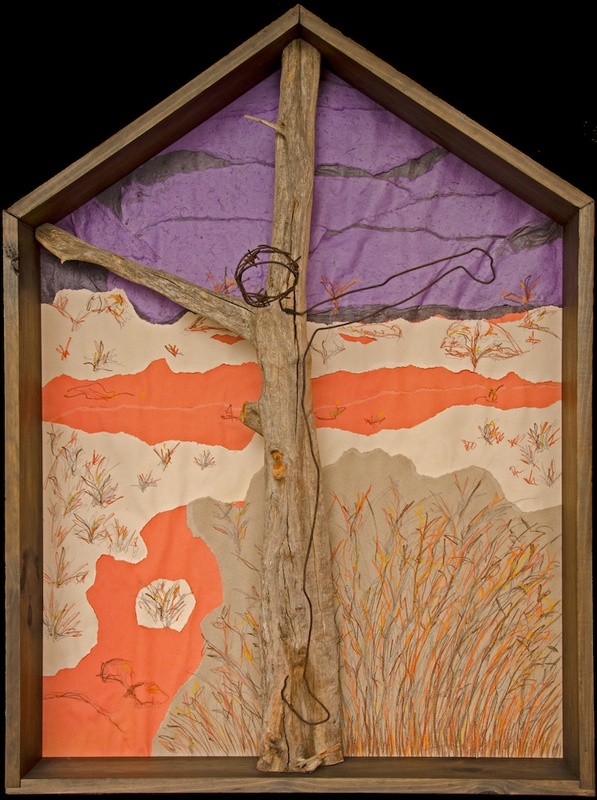 This entry was posted in Mixed Media, Pentecost, Year B and tagged Jesus, water on June 22, 2012 by Mark. A cast of thousands, well not quite. Nativity tableau. Created by Mark Hewitt, Jane Horgan & Anne Hewitt. Mary with infant Jesus & Shepherds in background. Shepherds with angels in the background. A flat pac nativity. 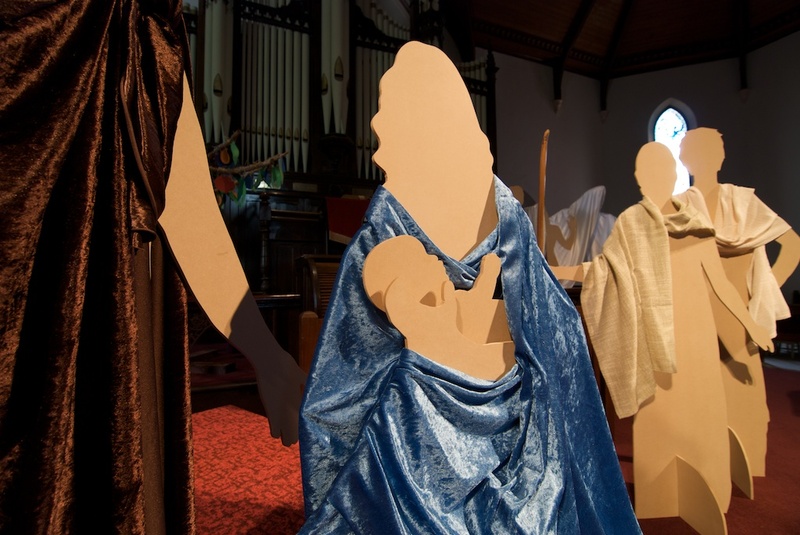 Each week over Advent as the story unfolded a life size tablaue grew week by week out th efront of the worship space. Beginning with Mary & Elizabeth. 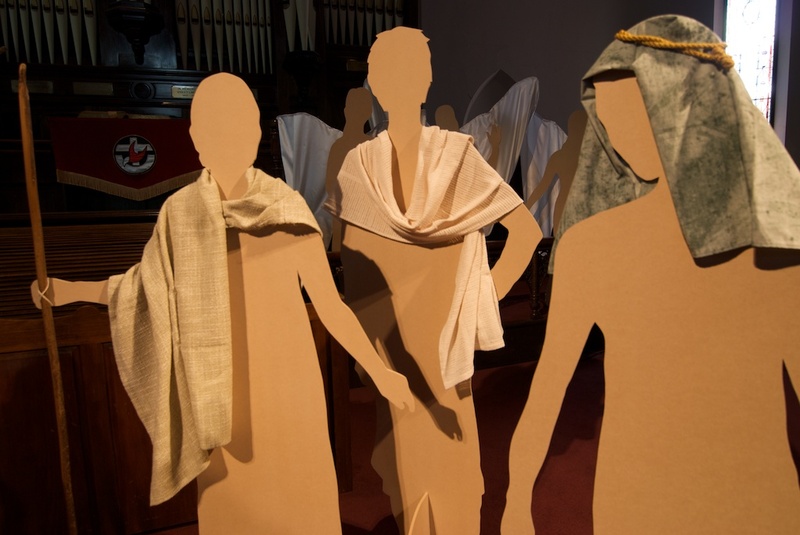 Each week a member of the congregation was traced onto a large sheet of paper, their shape cutout of mdf board, a piece of fabric creatively added that refelcted who they were and a scene set reflective that part of the narrative. 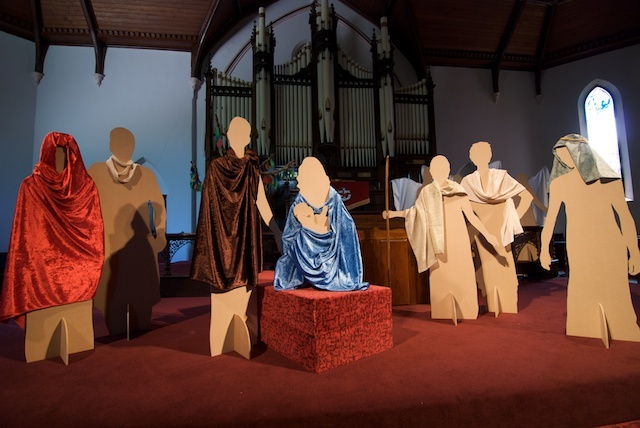 We started with 2 life size characters at the beginning of Advent to complete the scene on Christmas Day with 13 life size characters, all traced around members of the congregation. Each week the congregation intently studied each character to determine who of those gathered was it based upon. This entry was posted in Advent, Christmas, Installations, Worship and tagged Advent, Christmas, Jesus on April 23, 2012 by Mark.